Forging a future founded at the intersection of innovation and diversity. Generating transformative, sustainable growth. Expanding the breadth and depth of economic opportunity and social progress in Birmingham, throughout Alabama and across the Southeast. Being a catalyst for positive change. Those are the goals of Bronze Valley, a new 501(c)(4) organization established late in 2017 and launched officially at a conference held today in Birmingham. The privately-supported initiative will work to create an education-to-opportunity pipeline for ethnic minorities and women, groups currently underrepresented in technology careers in Alabama and across the nation. The Bronze Valley Conference brings together top corporate executives, elected officials, entrepreneurs, venture capitalists, policymakers and thought leaders from across the country. The focus of the conference is on lowering and eliminating the barriers to diversity that have prevailed in America’s top tech growth centers — including the well-publicized diversity struggles of Silicon Valley. 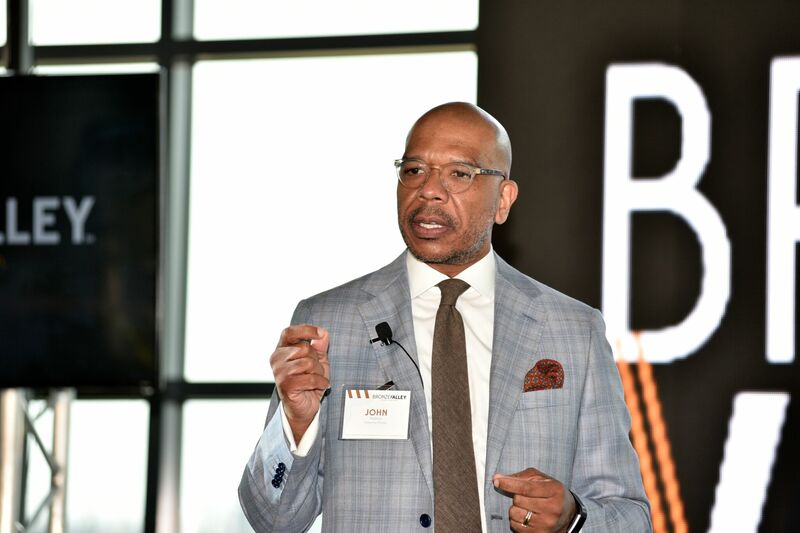 Hudson, who is senior vice president for marketing and business development for Alabama Power, pointed to disparities in the availability of funding and other resources available to people of color who seek to become technology entrepreneurs or otherwise enter tech-related fields of employment. For instance, he noted, African-American women are the fastest-growing group of entrepreneurs in America, and yet little more than one-half of one percent (0.58%) currently obtain startup funding for their business or idea. Hudson says the “culture of innovation” envisioned by Bronze Valley includes turning such disparities into opportunities. Hudson outlined four keys to creating an “ecosystem” for technology growth. Bringing key players together, establishing a technology investment fund, communicating through a digital platform (bronzevalley.com) and attracting and developing technology talent that can propel Birmingham and Alabama to a leadership role in the Southeast and the nation, Hudson said. The success of Bronze Valley will be tracked in real terms: jobs created; companies started, attracted and expanded; increased payrolls; improved educational attainment; and growth in minority and female employment in technology fields. But the ultimate indicator of success will be a shift in the way people in Birmingham, Alabama and the Southeast think about themselves and their prospects for securing a more prosperous future. Cities, states and regions that take advantage of opportunities in technology-based business and industrial sectors will be well-positioned to take advantage of the changes shaping the economy of the 21st century. Birmingham can be one of those cities, Hudson said. But time is of the essence.